Thea is talking about Wytches by Scott Snyder, Jock, and Matt Hollingsworth (a graphic novel she was lucky enough to pick up at Comic Con)! 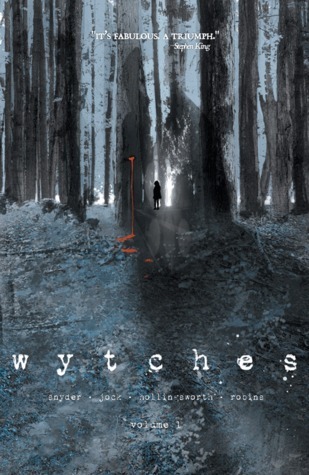 Wytches (Vol 1) is the first arc (hopefully) of a new series from a powerhouse creative team over at Image comics–and it explores horror in interesting and emotional ways. There’s the fear of monsters, the fear of protecting and guiding one’s child, and, well, some good old fashioned Rosemary’s Baby/Stephen King-esque small town collaborative terror. Get the full review here.